Los Alamos Daily Photo: Pollen, Pollen, Everywhere! 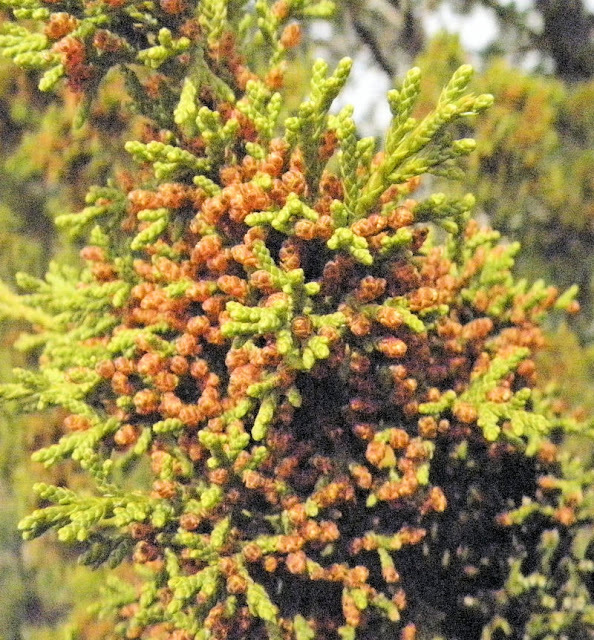 The male Juniper plants are loaded with pollen this time of year causing all kinds of complications. Pump into this branch and "smoke cloud" of pollen erupts.The Juniper is dioecious, having separate male and female trees. 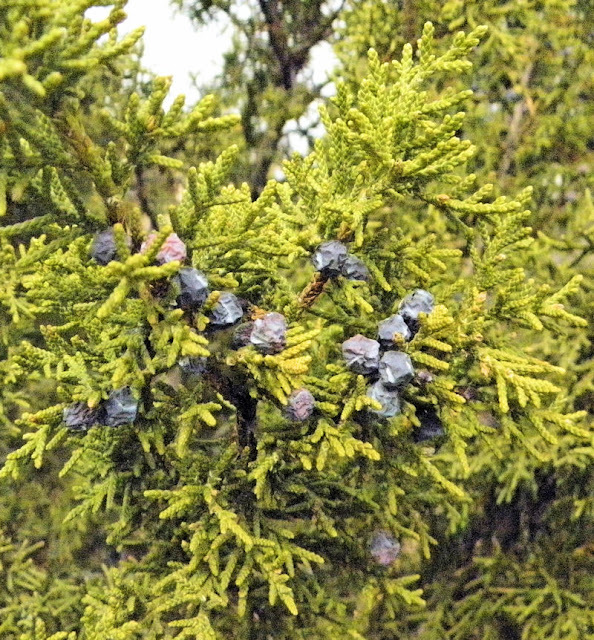 Below is the much less troublesome female Juniper trees.